HK Gruber has been announced as Gewandhauskomponist of the Gewandhausorchester Leipzig for the 2019/20 season, to include a new work co-commissioned by Boston Symphony. Over the course of the 2019/20 season, the Gewandhausorchester Lepizig performs a number of Gruber’s orchestral works including Manhattan Broadcasts and Aerial. Gruber conducts a programme of Weill and Eisler songs as part of the residency, and performs as chansonnier in his celebrated work Frankenstein!!. The season also features the world premiere of a new orchestral work, Short Stories from the Vienna Woods, co-commissioned by Gewandhaus zu Leipzig and Boston Symphony Orchestra. Click here to explore the whole programme, and see the full details of the residency below. HK Gruber returns to the Mozarteumorchester Salzburg on 14 March 2019 for a concert conducted by his fellow Intermusica artist Joshua Weilerstein. Gruber joins the orchestra as chansonnier in his “pan-demonium” for baritone and orchestra, Frankenstein! !, which celebrates its 40th anniversary this season. The programme for the concert sets Gruber's work in context among his predecessors in the Viennese composition tradition and includes works by Haydn, Weber and Beethoven. Frankenstein!! is one of Gruber’s most popular and enduring works and has been performed over 600 times since its premiere in 1978. Gruber and Weilerstein last performed the work together with Weilerstein’s Orchestre de Chambre de Lausanne, where they recorded an episode of Weilerstein’s podcast Sticky Notes dedicated to the work. Click here to listen to the episode. Gruber performs Frankenstein!! again the following week, this time with the Munich Chamber Orchestra and conductor Duncan Ward on 21 March. "HK Gruber conducted the ORF Radio-Symphonieorchester Wien gracefully and precisely"
HK Gruber once again leads the Vienna Radio Symphony Orchestra in the work, and is joined by soloists including Michael Laurenz and Ilse Eerens. The concerts in Vienna and Salzburg form part of the 100th birthday celebrations of von Einem, who was one of Gruber’s early mentors. HK Gruber celebrates the 40th anniversary of his famed work Frankenstein!! this October in two performances with the Wiener Symphoniker, conducted by Edward Gardner, on 24 and 25 October 2018. The performances also celebrate Austrian National Day. Frankenstein!! was premiered in November 1978 by Gruber, the Royal Liverpool Philharmonic and Sir Simon Rattle and has since received more than 600 performances around the world. Gruber performs Frankenstein!! widely in its 40th anniversary season, including performances with the Mozarteum Orchestra, Munich Chamber Orchestra, Swedish Chamber Orchestra and Avanti! Chamber Orchestra. HK Gruber returns to Salzburg Festival this month to conduct the Vienna Radio Symphony Orchestra in a concert performance Gottfried von Einem Der Prozess at Salzburg’s Felsenreitschule on 14 August 2018. The concert forms part of the 100th birthday celebrations of von Einem, who was one of Gruber’s early mentors, and marks the 65th anniversary of when Der Prozess was premiered at the festival in 1953. The performance will be broadcast live on ORF Radio 1. Gruber conducts the orchestra in Der Prozess again on 22 November, when they perform it at Wiener Konzerthaus. HK Gruber's Piano Concerto receives its Austrian premiere at the Wiener Konzerthaus on 13 March 2018. Emanuel Ax joins the Vienna Symphony Orchestra and conductor Louis Langrée for the performance. ".. his is an intricate and provocative score, a 24-minute single-movement concerto that unfolds with inexorable sweep and rhythmic persistence... The piano continues to twist and turn, with dreamy harmonies segueing into frenetic, toccata-like eruptions. The orchestra sometimes swells with startling Expressionist angst." Ax also performs the French premiere later this month with Orchestre Philharmonique de Radio France and Joshua Weilerstein on 23 March. 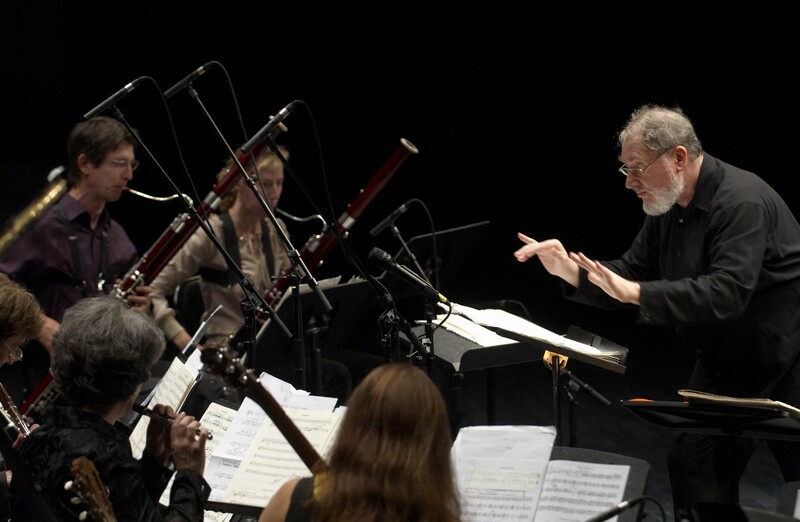 Elsewhere in March, Gruber returns to conduct the Ensemble Modern in Frankfurt. Gruber leads the ensemble in a programme of his Frankenstein!! and Kurt Weill at the Festspiele Mecklenburg Vorpommern. 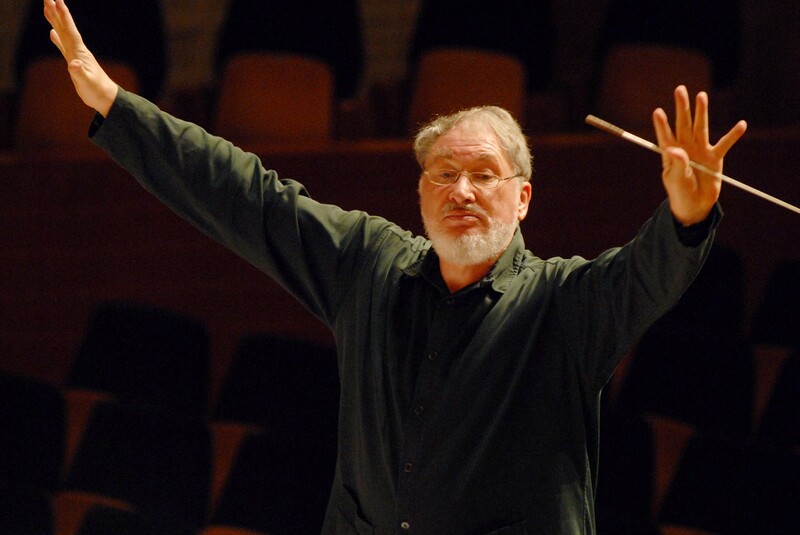 HK Gruber continues his 75th birthday celebrations with concerts with the Swedish Chamber Orchestra on 15 February at Orebro Concert Hall and 17 February 2018 at Gothenburg Konserthus. Gruber conducts the orchestra in an Austrian programme of a selection of Weill songs, with Gruber as chansonnier, his own Manhattan Broadcast and Kurt Schwertisk Violin Concerto with soloist Christian Altenburger. Gruber concludes the programme with his much-loved Frankenstein!!. HK Gruber has been appointed as an Honorary Lifetime Trustee of the Kurt Weill Foundation, the charitable organization entrusted with Weill's legacy. The honour, given on the occasion of Gruber's 75th birthday, recognizes his unrivalled contributions over several decades to the performance and understanding of Weill's music and its ongoing impact on the composition of new music. Gruber joins a small but distinguished roster of honourary trustees, including Teresa Stratas, James Conlon and Stephen Davis. Gruber first encountered Weill's music in the 1960s via a recording of his symphonies and when he later signed with classical music publisher Boosey & Hawkes, he formed a close personal friendship with Weill expert David Drew, then its Head of Contemporary Music. A consummate performer of Weill's music, both as conductor and vocalist, Gruber's affinity for Weill is evident in his own compositions. In its review of the world premiere of his Piano Concerto (2017), the New York Times noted, "Weill's ingenious merging of contemporary and cabaret styles remains a model for composers like Mr. Gruber." Kim H Kowalke, President and CEO of the Kurt Weill Foundation for Music, said "Gruber's performances and recordings as conductor and singer have set the gold standard for this repertory, and his championing of Weill's lesser-known works has introduced them to a new audience. His own oeuvre as a composer evinces the remarkable resonance Weill's music and esthetic still finds in a postmodern global musical landscape." Responding to the appointment, Gruber said, "Now with this birthday present I have the pleasure to belong to the Weill family. I promise I will make the most of it!". 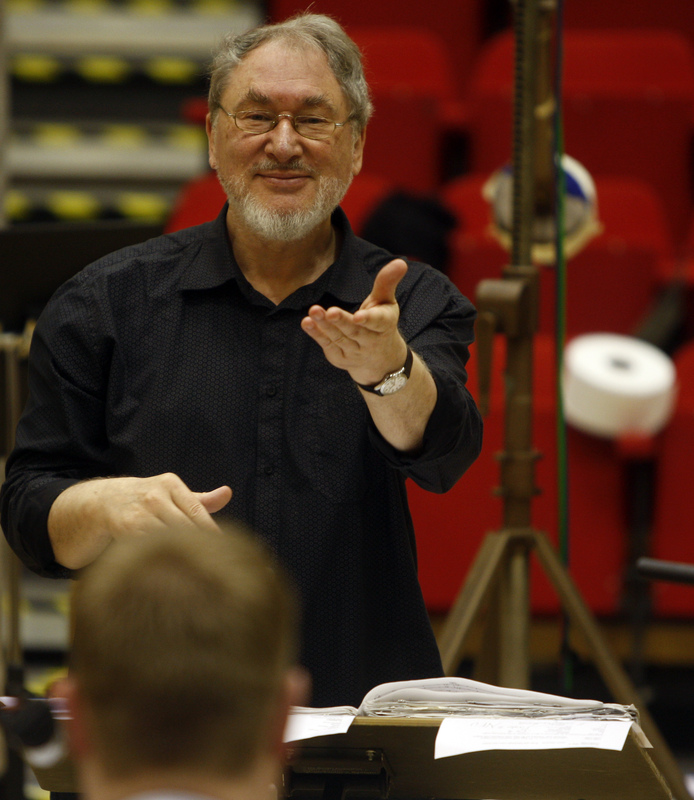 HK Gruber begins his 75th birthday celebrations in concert with the Vienna Radio Symphony Orchestra and Håkan Hardenberger at the Vienna Konzerthaus on 12 January. Gruber conducts an all-Austrian programme which includes Gottfried von Einem Capriccio for Orchestra, Bernd Richard Deutsch subliminal, Kurt Schwertsik Zeit-Wind/Stern-Zeit and Friedrich Cerha Impulse. Hardenberger joins Gruber for a performance of Gruber’s trumpet concerto Aerial, which was composed for the trumpeter. Hardenberger has performed the work almost exclusively across the world since its world premiere at the BBC Proms in 1999. Gruber continues his birthday performances with two performances of Frankenstein!! with Swedish Chamber Orchestra in February. HK Gruber is composer in residence with Deutsche Staatsphilharmonie Rheinland-Pfalz this season, and he continues the residency with two concerts on 6 and 7 December 2017. Gruber conducts a programme of his Northwind Pictures, Beethoven Symphony No.8 and Weber Clarinet Concerto with soloist Matthias Schorn. Gruber was recently the focus of the Royal Stockholm Philharmonic Orchestra's prestigious Composer Festival, with nine of his works being performed over the festival's eight-day run. Elsewhere across the season the orchestra perform many of his works including Dancing in the Dark, Charivari, Rough Music and Busking. HK Gruber is this year’s featured composer at the Royal Stockholm Philharmonic Orchestra's Composer Festival, which begins on 16 November 2017. Gruber conducts and performs at the prestigious festival, with nine of his works being performed over the festival's eight-day run. The festival opens with Sakari Oramo conducting Emanuel Ax in the Scandinavian premiere of Gruber's Piano Concerto, part of a programme that also features his Charivari and Dancing in the Dark alongside J Strauss Perpetuum mobile and Stravinsky Symphony in Three Movements. A second Scandinavian premiere follows on 22 November, when Gruber conducts Colin Currie in the Scandinavian premiere of his second percussion concerto, into the open.... Also on the programme are his Northwind Pictures and Markevitch Le nouvel age. Gruber gives two other performances during the festival; on 17 November he joins the RSPO's pianist Stefan Lindgren to perform a programme of songs by Hans Eisler and Kurt Weill. Gruber also performs as chansonnier in a performance of his pan-demonium for chansonnier and orchestra, Frankenstein! !, on 19 November. The festival concludes on 24 November, when Thomas Dausgaard conducts the Swedish Chamber Orchestra in a programme of Stravinsky Danses concertantes followed by Gruber's Cello Concerto (with soloist Matthew Barley), Manhattan Broadcasts and Zeitflüren. Elsewhere this month, Gruber is the focus of the Royal Stockholm Philharmonic Orchestra's Composer Festival. HK Gruber returns to the Essen Philharmonic Orchestra this month for two performances on 26 and 27 October 2017 at the city's Philharmonie. Gruber conducts a programme of his own Charivari alongside Antheil A Jazz Symphony and Gershwin Piano Concerto in F major, joined by soloist Frank Dupree. Elsewhere this month, Gruber joins the Belgrade Philharmonic as conductor and chansonnier for his Frankenstein!! and Kurt Schwertsik’s Verwandlungsmusik on 19 October. HK Gruber’s Geschichten Aus dem Wienerwald (Tales from the Vienna Woods) is performed at Theater Hagen this June, running from 24 June to 15 July 2017 for six performances. Gruber’s opera is based on Horváth’s classic bitter-sweet drama of social turmoil in the late-1920s, and this production stars Jeannette Wernecke and Kenneth Mattice in the leading roles. "Gruber has created a musically multicoloured, shimmering opera, and enriched it with quotations echoing Viennese music, Alban Berg and Richard Strauss, songs and cabaret of the 1920s. The premiere at the Bregenz Festival was a huge success, and this was repeated at the Komische Oper Berlin." "Gruber has created a score from the best that new music can offer… The work is a portrait of how people, although they put up a superhuman fight, can break down forlorn. It is thanks to this most original of Austrian composers, that an opera has been created out of the play, and one of such impressiveness that it deserves to be performed on every operatic stage from New York to Tokyo…"
"It toys knowingly with jazz, swing, pop, serialism and even a touch of old-fashioned romanticism...dispatched with benign dedication, also enduring and endearing strength, by Emanuel Ax." Gruber’s Piano Concerto is co-commissioned by the New York Philharmonic, Berliner Philharmoniker, Royal Stockholm Philharmonic and Tonhalle Zürich. HK Gruber travel to Switzerland this month to join the Orchestre de Chambre de Lausanne as chansonnier in Frankenstein!! under the baton of Joshua Weilerstein on 6 and 7 March 2017. Frankenstein! !, a “pan-demonium" for chansonnier and orchestra, is one of Gruber’s most popular and enduring works and has been performed over 600 times since its premiere in 1978. Gruber then joins his regular collaborators Ensemble Modern to conduct a programme of Weill and Gershwin at Marienkirche Dessau on 12 March. Gruber conducts Weill Suite Marie Galante and Symphony No.2 and Gershwin Rhapsody in Blue, joined by Ueli Wiget as soloist. Weilerstein, the Artistic Director of the OCL, then travels to North America for concerts with the Indianapolis Symphony and Vancouver Symphony Orchestras. HK Gruber’s Piano Concerto received an outstanding premiere by Emanuel Ax and the New York Philharmonic, conducted by Alan Gilbert. Gruber’s Piano Concerto, co-commissioned by the New York Philharmonic, Berliner Philharmoniker, Royal Stockholm Philharmonic and Tonhalle Zürich, was unveiled at the Lincoln Centre on 5 January to acclaim from the press and public alike. The concerto was lauded as “intricate and provocative” and was met with multiple ovations. The concerto is the latest in a sequence of concertos from Gruber and was composed for Emanuel Ax, who travels on to Berlin for the European premiere with the Berliner Philharmoniker, conducted by Sir Simon Rattle, on 16 March 2017. "Emanuel Ax, for whom Mr. Gruber wrote this episodic, hurtling work, was the commanding soloist... This is an intricate and provocative score, a 24-minute single-movement concerto that unfolds with inexorable sweep and rhythmic persistence... The piano continues to twist and turn, with dreamy harmonies segueing into frenetic, toccata-like eruptions. The orchestra sometimes swells with startling Expressionist angst. Yet for all the gnashing harmonies and splintered phrases, the music is run through with hints of Kurt Weill cabaret. There is almost always some jaunty, rhythmic riff bustling in the orchestra. " "Gruber’s lively, attractive piece spoke directly to the audience in accents jazzy one moment and Romantic the next... glittering, Gershwin-like piano syncopations and lush orchestral sonorities à la Rachmaninoff." Emanuel Ax gives the world premiere performance of HK Gruber’s Piano Concerto at Lincoln Center on 5 January 2017 with The New York Philharmonic, conducted by Alan Gilbert. The piece is repeated on 6 and 7 January This commission continues Gruber’s longstanding relationship with New York Philharmonic, who have also performed Frankenstein! !, Aerial and his chamber opera Gloria von Jaxtberg in recent years. The European premiere follows on 16 March 2017 with the Berliner Philharmoniker, conducted by Simon Rattle, at the Philharmonie. Gruber’s Piano Concerto is co-commissioned by the New York Philharmonic, Berliner Philharmoniker, Royal Stockholm Philharmonic and Tonhalle Zürich. HK Gruber conducts the Bamberg Symphony Orchestra in a New Year’s Silvester concerts at Konzerthalle Bamberg on 31 December 2016. Gruber also performs as chansonnier in a programme typical of his much-celebrated New Year’s concerts, comprising of several pieces by Weill and Gershwin, as well as works by Stravinsky, Antheil and Bernstein. Gruber and the orchestra are also joined for the concert by soprano Tora Augestad. 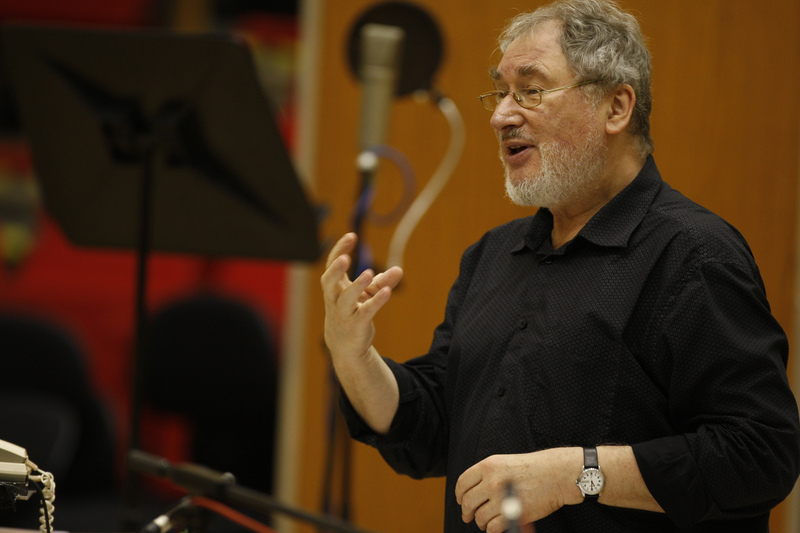 Gruber then travels to New York for the world premiere of his Piano Concerto with Emanuel Ax and the New York Philharmonic on 5 January 2017. Colin Currie joins HK Gruber and the New World Symphony Orchestra on 3 December 2016 to give the US premiere of Gruber's into the open… at the New World Centre, Florida. A single movement concerto, into the open… is scored for a vast panoply of solo percussion, including Thai gongs, Caribbean cencerros and African balaphone, and orchestra. Gruber conducts the full programme, which also includes Bernd Richard Deutsch Mad Dog and Kurt Schwertsik Nachtmusiken. HK Gruber makes a return to the Mozarteum Orchestra on 6 November 2016 to conduct them in concert at Großes Festspielhaus, Salzburg. He conducts a programme of Stravinsky, Schwertsik, Lindberg Clarinet Concert, joined by Mark Simpson as soloist, and his own Dancing in the Dark. HK Gruber travels to Malmö this month to perform at the first Malmö Chamber Music Festival from 24 September 2016. Gruber performs as chansonnier and conductor in two concerts, and his music features across the full five days of the festival. Gruber performs in Klubb Krinolin on 24 September and at Malmö Koncerthus on 25 September in the Grande Finale Concert where he conducts the Mahler Chamber Orchestra in his 3 MOB Pieces. ".. a curtainraiser of a typically quirky kind... relaxed spirits and virtuoso musicianship saw the performers through... People who have not tried out one of these niche lunchtime events at Cadogan Hall do not know what they have missed." "Superior light music with a sting, done at the highest level.. Gruber wields his gravel with a Lieder-singer's art, and gave us immaculate comic timing..."
HK Gruber returns to the BBC Proms on 8 August 2016, joining Håkan Hardenberger and the Academy of St Martin in the Fields in a Chamber Prom at Cadogan Hall. Gruber, widely acknowledged as one of today's leading interpreters of Kurt Weill, will join the ensemble to perform as chansonnier in a selection of Weill songs, and will conduct his own 3 MOB Pieces. Elsewhere at the Proms Gruber’s Busking will be performed by the BBC Symphony Orchestra and Hardenberger on 10 August. Gruber then travels to Salzburg where he conducts the Österreichisches Ensemble für Neue Musik at Salzburg Festival in a programme of Cerha Keintate and Quellen, Gruber Zeitflüren and Schwertsik Adieu Satie on 13 August. HK Gruber joins long-time collaborators Ensemble Modern at Oper Frankfurt on 13 June 2016 for ‘Happy New Ears’, a special portrait concert focussing on his work. 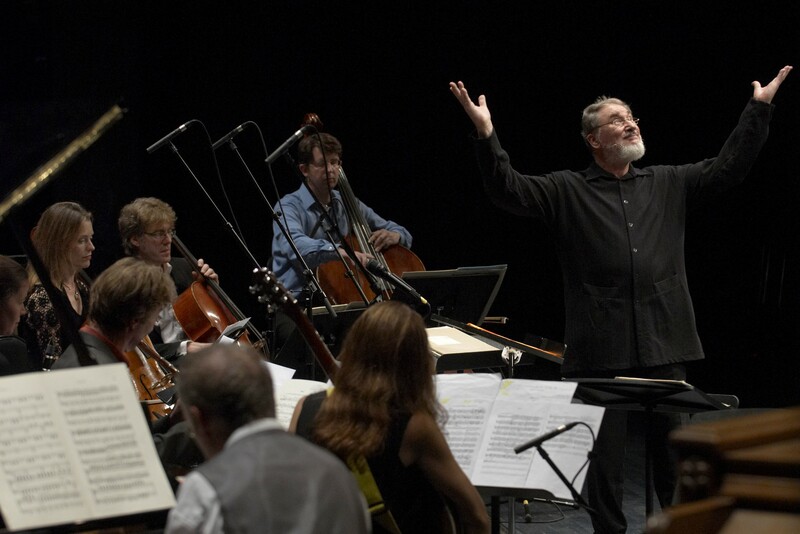 Gruber conducts the ensemble in his MOB Pieces and also performs as chansonnier in Frankenstein!!. Following the concert with Ensemble Modern, Gruber travels to London to perform alongside Håkan Hardenberger and the Academy of St Martin in the Fields at the BBC Proms. HK Gruber’s opera Geschichten aus dem Wiener Wald (Tales from the Vienna Woods) receives its German premiere at Komische Oper Berlin on 22 May 2016. The opera received its world premiere at Bregenz Festival in July 2014 and was most recently performed at Theater an der Wien in March 2015, conducted by Gruber himself. Gruber’s score “blends echoes of Berg and Weill with the composer’s unique sense of irony and dark humour”. This production is directed by Michał Zadara and features Cornelia Zink and Tom Erik Lie in lead roles. Gruber also appears in a chamber concert at the Komische Oper on 30 May performing Frankenstein!! alongside members of the Komische Oper orchestra. Tales from the Vienna Wood runs until 7 July. HK Gruber returns to conduct the BBC Philharmonic Orchestra in a studio concert on 17 February 2016 in a programme of Sir James MacMillan Stomp, Stravinsky Four Norwegian Impressions and Magnus Lindberg Clarinet Concerto, with soloist Mark Simpson. Gruber has worked extensively with the BBC Philharmonic since his appointment as Composer/Conductor in 2009, with recent highlights including the world premiere of Gruber’s into the open… percussion concerto with Colin Currie at the 2015 BBC Proms. Gruber then travels to Germany where he joins his regular collaborators Ensemble Modern for several performances of Weill The Threepenny Opera. Colin Currie gives the Austrian premiere performance of HK Gruber’s Into The Open… for percussion and orchestra with the Vienna Symphony conducted by Erik Nielsen on 15 November 2015, as part of Wien Modern. Into The Open… is scored for a huge number of different instruments and requires the soloist to change instruments frequently, often in a very short space of time. HK Gruber travels to Leipzig for a performance of the orchestral version of his famous Frankenstein!! at the Leipzig Gewandhaus on 22 October 2015. Gruber performs as chansonnier alongside the MDR Leipzig Radio Symphony Orchestra and conductor Kristjan Jarvi. Frankenstein! !, described as “a postmodern classic” by Musical America, is one of Gruber’s most popular and enduring works, and has been the basis for his reputation as a chansonnier. He performs Frankenstein!! at Komische Oper Berlin later in the season. HK Gruber joins his regular collaborators Ensemble Modern for Wigmore Hall’s Friedrich Cerha Day on 10 October 2015. Together they perform Cerha’s Keintate, with Gruber as Chansonnier. Keintate is inspired by Cerha’s days spent playing in Viennese folk bands, and features the verse of Ernst Kein. HK Gruber and Ensemble Modern will perform Keintate again in November with a second concert at Hessian State Theatre in Wiesbaden, Germany. Following his recent appearance conducting the Salzburg Festival's opening concert with the Salzburg Mozarteum Orchestra, HK Gruber returns to the festival on 15 August 2015 for a concert performance of Weill's The Threepenny Opera with Ensemble Modern. Gruber, widely acknowledged as one of today's leading interpreters of Kurt Weill, conducts a cast including Max Raabe, Hanna Schwarz and Ute Gfrerer, all of whom performed on his acclaimed 1999 recording for BMG. Gruber also speaks in the Festival's symposium on Bertolt Brecht earlier the same day. On 20 July 2015, Colin Currie gives the world premiere performance of HK Gruber’s into the open… for percussion and orchestra with the BBC Philhamonic Orchestra at the BBC Proms. John Storgårds conducts the concert at the Royal Albert Hall. into the open… is scored for a wide array of solo percussion including instruments such as Thai gongs, Caribbean cencerros and African balaphone. Currie and Gruber have enjoyed working together many times in the past, with Currie performing Gruber’s earlier percussion concerto Rough Music around the world, most recently with the BBC Philharmonic Orchestra in Manchester in 2013. Currie gives the Austrian premiere of into the open at Wien Modern Festival in November 2015, conducted by Erik Nielsen. Gruber and Schwertsik’s long-standing friendship has led Gruber to conduct Schwertsik’s music elsewhere this season in celebration of the composer’s 80th birthday, most recently in April 2015 with Schwertsik’s Baumgesänge, performed by the BBC Philharmonic at Bridgewater Hall. Currie and Gruber have also worked together many times with great success, and Currie regularly performs Gruber’s percussion concerto, Rough Music. This July, Currie gives the world premiere performance of Gruber’s into the open for percussion and orchestra and returns to Vienna in November to give the Austrian premiere at the Konzerthaus as part of Wien Modern festival. In April 2015, the Berliner Philharmoniker perform HK Gruber’s trumpet concerto Aerial, with Hakan Hardenberger as soloist and the composer in attendance. Andris Nelsons conducts three performances on 23, 24 and 25 April at the Berliner Philharmonie, with Mahler’s Symphony No. 5 in the second half of the programme. Aerial was written for Hardenberger, who has since performed it nearly 70 times since he gave the world premiere performance at the BBC Proms in 1999. Earlier this season in February 2015, Hardenberger performed Aerial with the Philharmonia Orchestra, again conducted by Nelsons. HK Gruber’s new opera Geschichten aus dem Wiener Wald (Tales from the Vienna Woods) opens at Theater an der Wien on 14 March, for a run of performances conducted by Gruber himself. This is the first revival after its outstanding premiere at the Bregenz Festival in July 2014. Based on the bitter-sweet, bitingly satirical play of the same name by Ödön von Horváth, with a libretto by Michael Sturminger (also director in this production), Gruber’s score blends echoes of Berg and Weill with the composer’s unique sense of irony and dark humour. The cast includes many from the Bregenz world premiere including Ilse Eerens in the central role of the young girl Marianne, and Angelika Kirchschlager as Valerie. "The piece goes straight to the heart… superb craftsmanship.... Out of the ‘Beautiful Blue Danube’ Gruber fashions a dance on the edge of the abyss, full of lust and greed, with the help of an out-of-tune tinkly piano and exquisitely stretched out string figurations… Gruber loves his Marianne. He writes ariosi for her and music of the deepest despair…"
"A superb cast gave meticulous polish to Gruber’s vocal lines, which closely followed the rhythms of Horváth’s words, sat well, and hovered between tonality and fragmentation…"
"HK Gruber’s score displays his immense skills, with an enormous breadth of tonal colours and instrumental effects, and at the same time a transparency and airiness so the voices are never obscured… The skilful, extremely melodious, tonal mixture of elements from Bernstein, Weill, Eisler and Schreker, the night club scene with a jazz combo, and the aria Your tiny hand is frozen from Puccini’s La Bohème sung live through a gramophone funnel, lend Gruber’s new work the aura of a Zeitoper." "Gruber could not resist weaving deconstructed snatches of the famous Strauss waltz into his fascinating, often beguiling orchestral fabric... this new, very well made opera deserves to travel as much as Horváth's play." HK Gruber travels to Dresden to conduct the Dresden Philharmonic Orchestra in three sold-out New Year’s Silvester concerts at the Albertinum on 31 December and 1 January. Gruber conducts a programme typical of his much -elebrated New Year’s concerts, comprising several pieces by Weill and Strauss as well as works by Hindemith, Antheil and Bernstein. Click here for more information about the concerts. Tales from the Vienna Woods, the new opera by HK Gruber, enjoyed an outstanding premiere at the Bregenz Festival in July, and travels on to the Theater an der Wien in March 2015. HK Gruber’s new opera, Tales from the Vienna Woods, based on Horváth’s bitter-sweet play set in the social turmoil of the late-1920s, was unveiled at the Bregenz Festival in July to acclaim from press and audiences alike. Blending echoes of Berg and Weill with Gruber’s unique sense of irony, the opera was lauded as a summatory work in the composer’s output. Conducted by Gruber in Bregenz, the production by Michael Sturminger, who is also the librettist, travels on to the Theater an der Wien in March 2015 again with the composer conducting. Gruber conducted an impressive cast, including Ilse Eerens in the central role of the young girl Marianne, attempting to escape the oppressive social conventions and deprivation after the collapse of the Habsburg Empire; Angelika Kirchschlager as the seductive tobacconist Valerie; and a cameo from Anja Silja as the murderous grandmother of Marianne’s feckless lover. The Bregenz premiere was the final highlight of David Pountney’s tenure as Artistic Director of the festival, which also featured a staging of Gruber’s pigtale Gloria by Mahogany Opera Group and a selection of the composer's orchestral works. "HK Gruber’s score displays his immense skills, with an enormous breadth of tonal colours and instrumental effects, and at the same time a transparency and airiness so the voices are never obscured… The skilful, extremely melodious, tonal mixture of elements from Bernstein, Weill, Eisler and Schreker, the night club scene with a jazz combo, and the aria 'Your tiny hand' is frozen from Puccini’s La Bohème sung live through a gramophone funnel, lend Gruber’s new work the aura of a Zeitoper." "The opera Tales from the Vienna Woods is a handcrafted masterpiece." On 15 November, HK Gruber returns to Paris to conduct the Orchestre Philharmonique de Radio France in a concert of Kurt Weill with Anne Sofie von Otter. The programme features Seven Deadly Sins, Kleine Dreigroschenmusik, Surabaya Jonny, I Am A Stranger Here Myself, Speak Low and Saga of Jenny (from Lady in the Dark). Click here to read more about the concert. Gruber recently opened his fifth season as Composer/Conductor of the BBC Philharmonic with a concert at Manchester’s Bridgewater Hall on 18 October. Other highlights of the 2013/14 season include conducting Dresden Philharmonic and BBC Philharmonic, and Chansonnier performances with Strasbourg Philharmonic and Vienna Symphony. Gruber will also conduct the world premiere of his new opera at the Bregenz Festival. This month, HK Gruber returns to the US to conduct two concerts with the Seattle Symphony Orchestra. On 18 April, the concert opens with Antheil’s Jazz Symphony, and is followed by Gruber’s percussion concerto Rough Music, with Seattle Symphony percussionist Michael Werner as soloist. The second half comprises the Symphonic Suite from Bernstein’s On The Waterfront and the concert closes with Stravinsky’s Firebird Suite. Gruber reprises sections of the programme when he conducts an additional concert on 20 May: the Seattle Symphony’s Kids’ Concert, aimed at children aged between 5 and 12 years old. Intermusica is pleased to be touring HK Gruber and the BBC Philharmonic to Austria for two concerts at the Wiener Konzerthaus this month. Celebrating Gruber’s 70th birthday and the 100th anniversary of the Konzerthaus, the BBC Philharmonic’s residency there marks the special relationship that has established between composer, orchestra and concert hall. Gruber is currently Composer and Conductor in residence with the BBC Philharmonic, conducting several concerts every season since his appointment in 2009. The concerts in Vienna on this tour will also feature two of Gruber’s own compositions. Gruber and the BBC Philharmonic will also be performing together the previous week on 13 March at the Bridgewater Hall in Manchester. In preparation for the two concerts in Vienna, the concert will also feature the MacMillan, the Britten and the Stravinsky with the same cast that will be travelling to Austria. Click here for further information about the concerts at the Wiener Konzerthaus.